2019 is the year in which Disney is pulling out all of the stops; with their multiple Marvel projects, including 'Avengers: Endgame' and 'Spider-Man: Far From Home', as well as live action remakes of 'Aladdin', 'Dumbo', and 'The Lion King', this will truly be a year of Disney film like nothing we have seen before. 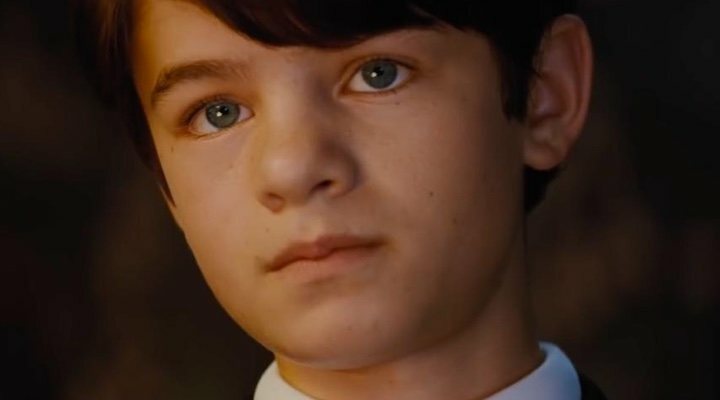 On this long list of epic projects which we are eagerly counting down the days to see is an original Disney project, 'Artemis Fowl', a film adaptation of the first novel in Eoin Colfer's best-selling teen-fiction series. 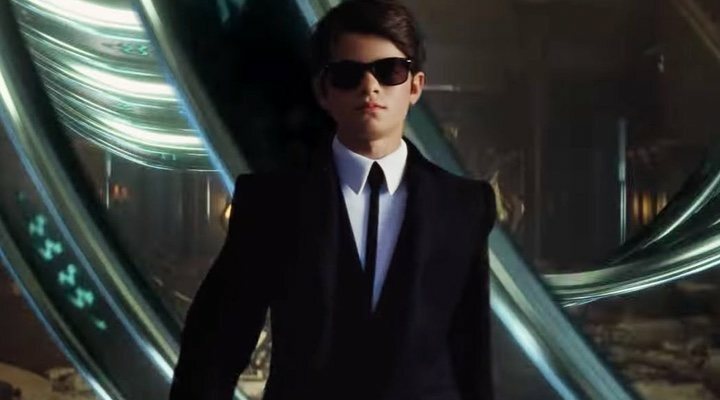 The eight novels in the 'Artemis Fowl' saga wonderfully merge the genres of science-fiction, fantasy, and crime, and were faithfully devoured by thousands of keen millennials. The books follow the story of a young boy with an incredible IQ, born into a wealthy criminal family in Ireland. When his father, Artemis Fowl I, mysteriously disappears, the young Artemis Fowl becomes intent on restoring his family fortune and finding his father by any means possible. The first novel was released in 2001, and begins when Artemis discovers the existence of the fairy world which lives peacefully beneath the human realm. He becomes convinced that this magical world is the key to solving all of his problems. After having sold 25 million copies worldwide, been translated into 44 languages and formed a magical universe whose adventures could equal those of J.K. Rowling, it is a wonder that the books have not been snapped up by eager film studios before now. Discussions about making a cinema adaptation of the novels have been in the works ever since 2001, but more than ten years passed with the notion seeming to be nothing more than a vague dream. It wasn't until Kenneth Branagh was hired as director in 2015 that the possibilities of seeing this magical world on the big screen seemed truly achievable. Even so, it would take another four years to fully develop the project and now we are finally going to be able to enjoy a live action adaptation of this novel which defined so many of our childhoods. Let us hope it will be worth the wait! After talks began in 2001, it wasn't until 2013 that Disney announced, along with The Weinstein Company, that they would produce film adaptations of the first two novels in Colfer's saga. Weinstein's name has since been removed from the credits. Even so, for two years the project seemed to be stunted. Then, in 2015, Kenneth Branagh ('Thor' and 'Murder on the Orient Express') was hired to direct, with Connor McPherson in charge of screenplay and the ball at last began rolling towards making Colfer's dream a reality. 'Artemis Fowl' is now set to be released in August 2019. 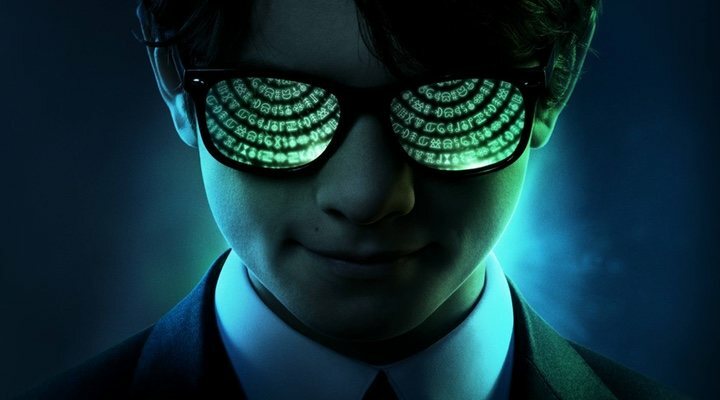 The official synopsis of the film is as follows: "Disney's 'Artemis Fowl', based on the beloved book by Eoin Colfer, is a fantastical, spellbinding adventure that follows the journey of 12-year-old genius Artemis Fowl, a descendant of a long line of criminal masterminds, as he seeks to find his father who has mysteriously disappeared. With the help of his loyal protector Butler, Artemis sets out to find him, and in doing so uncovers an ancient, underground civilisation - the amazingly advanced world of fairies. Deducing that his father's disappearance is somehow connected to the secretive, reclusive fairy world, cunning Artemis concocts a dangerous plan - so dangerous that he ultimately finds himself in a perilous war of wits with the all-powerful fairies." Eoin Colfer wrote a total of eight novels in the 'Artemis Fowl' series, as well as one graphic novel adaptation of the first book. The story follows the young criminal mastermind through his journey, discovering the fairy world and attempting to find his missing father. In the first novel, released in 2001, Artemis lives in the Fowl family mansion in Ireland with his mother, who is slowly losing her mind after her father's presumed death at the hands of the Russian Mafia. Artemis is convinced that his father is still alive and becomes intent upon finding him, restoring the lost family fortune, and rescuing his mother from madness. When he discovers the world of the fairies, he decides to kidnap Holly Short, a captain in the fairy police force, in order to demand a ransom in gold from the fairy people. The final novel in the series was published in 2012. In the words of Colfer himself, he describes his series as 'Die Hard' with fairies. As mentioned before, Artemis Fowl is a child genius who uses his intelligence to follow in his father's criminal footsteps. During his investigations of ways in which he can restore the Fowl family fortune, he discovers the fairy world and decides that their magic is key to solving his problems. He is initially a cold, calculating and cruel character. Physically he is described to be extremely pale and thin, with black hair and bright blue eyes. In the casting process for the film, the crew auditioned over 1200 actors to play the role, before deciding on Ferida Shaw, a young Irish actor making his debut performance. Holly Short is an energetic and tenacious elf who works for the fairy police force, LEPrecon. In the novels she was known for being the first ever female officer in the force, however, in the film Judi Dench has been cast as the police captain, while in the novels the character was originally a man, so Holly is now no longer the only woman on the team. As elves have much longer lifespans than humans, she is said to be around 80 years old. When she was only 60, Holly's mother was killed due to radiation poisoning, the fault of humans. Consequently she has an extreme hatred for "The Mud People", as humans are known to the fairies, and is set on seeking revenge. Physically she is described as being around a metre tall (the average height for an elf), with cropped auburn hair and hazel eyes. Lara McDonnell has been cast in the role; the actress has appeared in small roles in various films in the past, including 'Love Rosie', and starred as Matilda in London's West End production of 'Matilda' between 2015 and 2016. 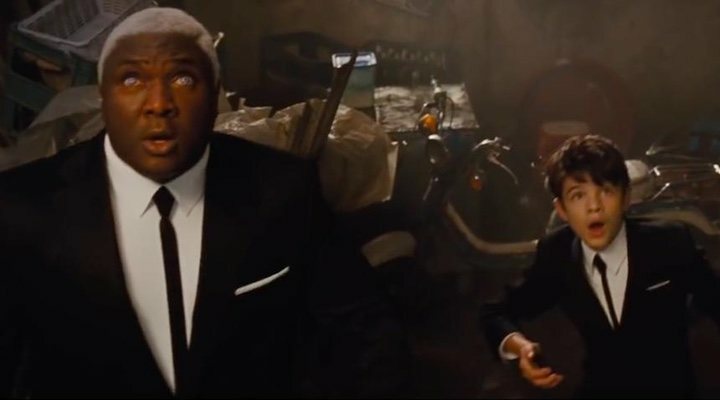 Played by Nonso Anozie ('Conan the Barbarian'), Butler is a loyal bodyguard to Artemis Fowl. He comes from a long line of Butlers, all of whom have served the Fowl family for many generations. He was a dedicated servant to Artemis' father, and now serves the young heir with the same degree of loyalty. Since Artemis' mother is unable to take care of her son, Butler is kind of guardian to Artemis, as well as a companion and protector. Played by none other than Josh Gad (the voice Olaf in 'Frozen' and LeFou in 'Beauty and the Beast'), Mulch Diggums is a selfish and grumpy kleptomaniac dwarf who is sent to rescue Holly from the clutches of Artemis. He lives a life of crime, frequently being arrested by the fairy police force, but is incredibly skilled at escaping with ease. The fairy population, known as The People, are the peaceful inhabitants of Lower Elements, the underground haven in which they have lived ever since the great battle between humans and fairies thousands of years ago. The People are colloquially known as "fairies", but are made up of a variety of creatures: elves, centaurs, demons, dwarves, gnomes, goblins, pixies, and sprites. All fairies have access to magic so long as they obey the commands laid out in The Book, like the fairies' Bible, but if they break a single rule then they are forced to renounce their magic forever. As well as having certain magical powers, The People also have highly developed technology which allows them to escape detection from the human world. LEPrecon is the police force in the fairy world; the name stands for Lower Elements Police Recon, and apparently inspired the Irish mythology surrounding leprechauns. 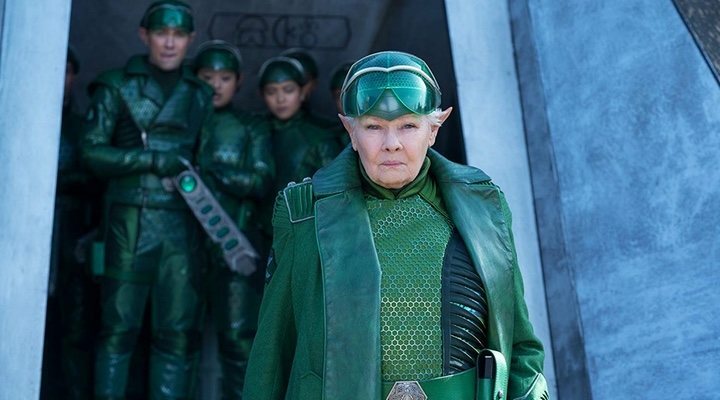 In the novels the leader of the force is a grumpy male elf known as Commander Julius Root, but in the film adaptation the role will be played by Judi Dench. This is not the first time that Dench has replaced an originally male character in the role of a powerful commander of an investigative force; the same can be said for her role in the 'James Bond' series. LEPrecon is in charge of maintaining the peace in the underground world and ensuring that their identity remains hidden from humans. Thus, when Artemis discovers the existence of their world, they are the primary force which he must confront.